Andrew Dobson argues that ecological citizenship cannot be fully articulated in terms of the two great traditions of citizenship - liberal and civic republican - with which we have been bequeathed. He develops an original theory of citizenship, which he calls "post-cosmopolitan", and argues that ecological citizenship is an example and an inflection of it. Ecological citizenship focuses on duties as well as rights, and these duties are owed non-reciprocally, by those individuals and communities who occupy unsustainable amounts of ecological space, to those who occupy too little. The first virtue of ecological citizenship is justice, but post-cosmopolitanism follows some feminisms in arguing that care and compassion may be required to meet its special obligations. 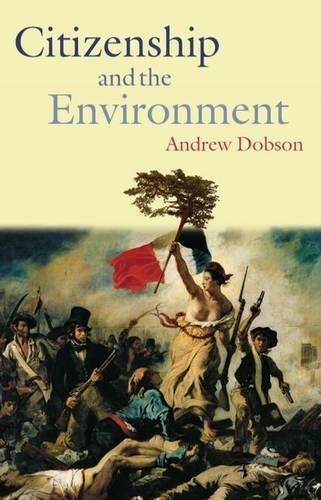 Dobson suggests that ecological citizenship's conception of political space is not the state or the municipality, or the ideal speech community of cosmopolitanism, but the "ecological footprint".